We have just lost one of Saengerfest’s founding members, who contributed a lively love of singing that will be missed by all who knew him. His contributions to the chorus were exemplary. Phil finished the Stockton Bonspiel (a curling tournament of significant standing) as he has for decades, by leading all in a round of Auld Land Syne. He then went home, went upstairs to change, and was found sitting in a chair by Anne. A shock, but not a bad way to go. I am so sad to inform you that Phil Robertson had a massive heart attack and passed away Sunday night. Anne Robertson’s address is 36 Randolph Ave, Milton, MA 02186. I am so sorry to hear this very sad news – Betsy called last night to let me know. 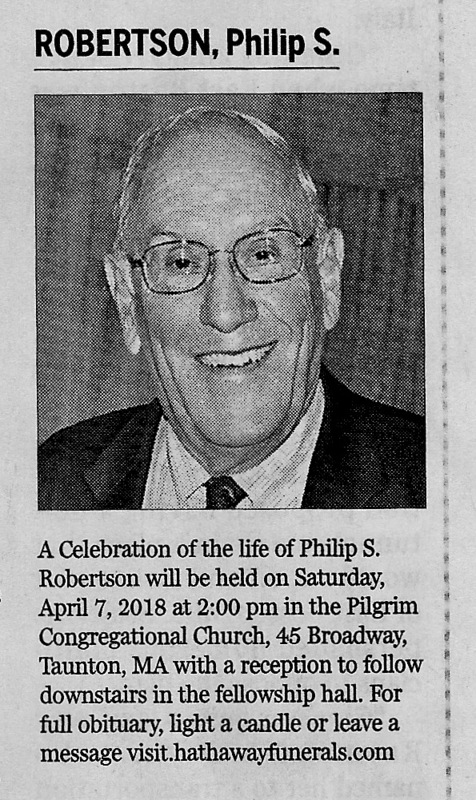 I knew Phil from my very first rehearsal with Saengerfest in 1992; we subsequently used to meet for dinner almost every time I came over, along with Gordon & Betsy, John & Martha Ross and others in Falmouth and West Falmouth. Over these past 25 years years, I regarded Phil and Anne as very good friends; I stayed with them overnight in Milton just last April after coming along to your rehearsal prior to the 25th anniversary concert – Phil then drove me to West Falmouth the following morning. There was always much music and lots of laughs whenever we met. He was such a dedicated Saengerfest singer – whenever I caught his eye, knowing he was struggling with the Welsh words, he would always give me that cheeky grin! He will be much missed. We will all miss him keenly. We are all feeling the loss of Phil Robertson this past Sunday. I always appreciated Phil’s well-tuned sense of humor and his generous spirit. I can not find the words to say good bye. to Phil. I felt comfortable talking and being with him. 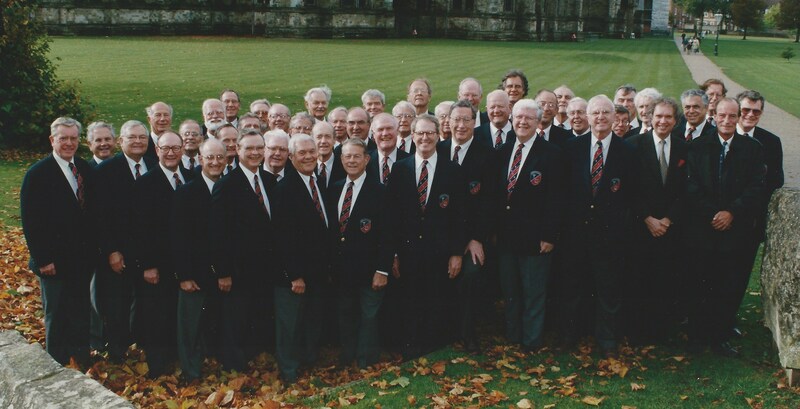 He represented all that is beautiful about singing and socializing with a men’s choral group. His presence will be missed. What a wonderful man and friend to all. The days do indeed dwindle down to a precious few. Sadly, so do our good good friends. Ave atque vale. Back in the mid-1970’s when I joined the Saengerfest, we met quarterly at the Tennis & Racquet Club, Dr. Bob Daley was Meistersinger, and the room was full of dozens of larger than life characters like Abe Collier, Jim Dennison, Sherm Russell and younger guys like Bill Bovey, Gordon Heald, Pete Jones and Phil Robertson. Over the next forty some years much has changed. Yet throughout it all there’s always been the core, and at the center of that core there’s been Phil Robertson. He embodied the Saengerfest mission: He believed that music defines us, tradition unites us and fellowship enriches us. Like the rest of you, I will miss him. I remember walking into the Spee Club at Harvard for the Saengerfest meeting when I was being introduced, sometime in the 80’s. My sponsor wasn’t there yet, but one friendly guy came over, introduced himself, and then said “Let’s walk around, and I’ll introduce you to others: Twenty minutes later my sponsor showed up, found us, and said “You’re in good hands already”. It was Phil. And I was. Phil was a plank owner of Saengerfest and always cared for the best interests of the group. He will be missed. Thank you, Tingey, for letting us know. Anne an Phil have been long time friends. He will be sorely missed. He was with us when the chorus was formed in 1991, but he had been a long time member of the olde Saengerfest. Phil was a second tenor and over the years he and I settled into a “back row” camaraderie, often sitting together, chatting about this and that as we all do. We happened to sit together at the concert on Sunday and shared some stories about growing up in simpler times. 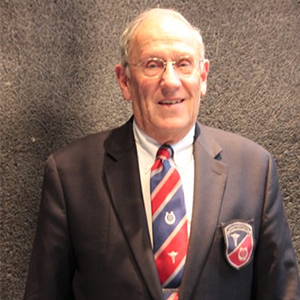 I am comforted by knowing that in the final hours of his life, he sang with all of us and those talented young men, took part in his beloved sport of curling and then, sitting in a comfortable chair, ended his time with us in this world. Rest in peace, Phil, and may all who knew and loved you be blessed with the comforts of memory and hope. That is a very painful loss. 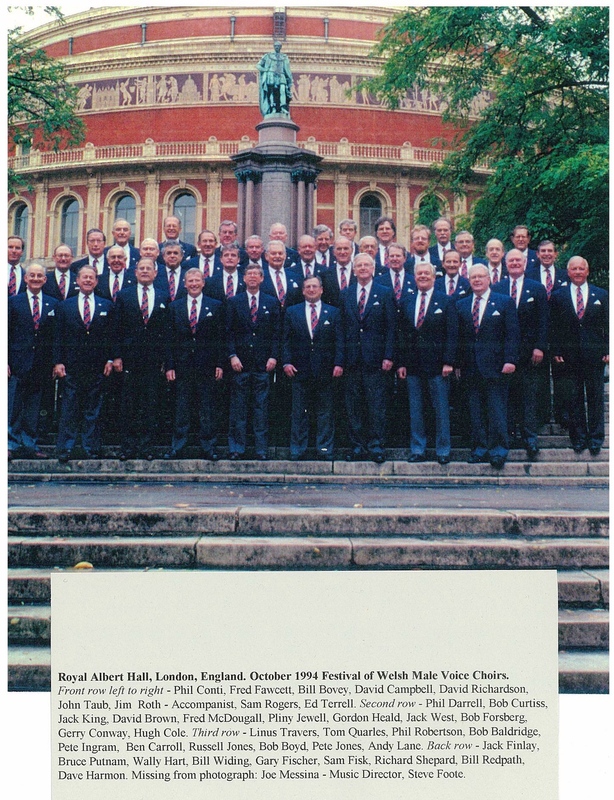 This is a remarkable outpouring to show how many members of the chorus he touched over the years! Phil and I always kidded each other about Latin pronunciation. In his time at Milton Academy and Harvard, Phil never took Latin. When we sang Ecce Quam Bonum Phil insisted on pronouncing Ecce as Ecke (classical pronunciation) vs. the liturgical echeh. He’d flash me this vicious grin and sing louder. Good fun: I miss him. This is what Saengerfest is all about. Many years ago I inherited the management of chorus CD sales from Jack Finlay. With the help of my wife Nancy, we began promoting CDs at every concert. Nancy soon brought in Ann Robertson and of course Phil joined the team as well, ready to help where needed. He would always make sure our wives had drinks or food at the Regis Christmas reception. We had a great team. Phil was a good man. I will miss him.